We offer results-driven legal counsel to pursue your goals and represent individuals around the world. Resources and advocacy that you need to ensure that you and your family’s interests are protected. Providing a way to find mutually-satisfactory solution between parties without filing court actions. 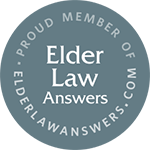 Facing an immigration matter or elder law matter in Charlotte or the surrounding areas? Are you seeking an immigrant visa or a non-immigrant visa into the United States? Perhaps you are in need of assistance with long-term care planning or an application for Medicaid. Whatever your immigration or elder law needs, you can find competent and caring help from a Charlotte attorney at Kelli Y. Allen Immigration & Elder Law. Attorney Kelli Allen focuses her practice on immigration law, nationality law, elder law and mediation. As such, we are enabled to provide thorough and capable legal guidance for each of your legal matters and concerns. Contact us to see what sets our exceptional team apart from other law firms. Our firm, located in the University area of Charlotte, is a small law office that offers the responsive attention and personalized legal service you might expect from an intimate and friendly local establishment. As a Charlotte immigration lawyer, Kelli begins with an initial in-person consultation for all cases. Each of your discussions with attorney Kelli Allen are strictly confidential. Regardless of your situation, you can trust that Kelli will only use the information you provide to assist you in reaching your immigration or elder law goals. After reviewing your case and goals, Attorney Kelli Allen can inform you of your legal options and advise you on the best course of action. She will show you how to proceed in order to work toward achieving the resolution you seek. Because of the complexities of elder law and immigration law and procedures, it is always best to obtain the representation of an attorney who understands all legal aspects of any immigration matter and who will work toward obtaining a positive outcome.